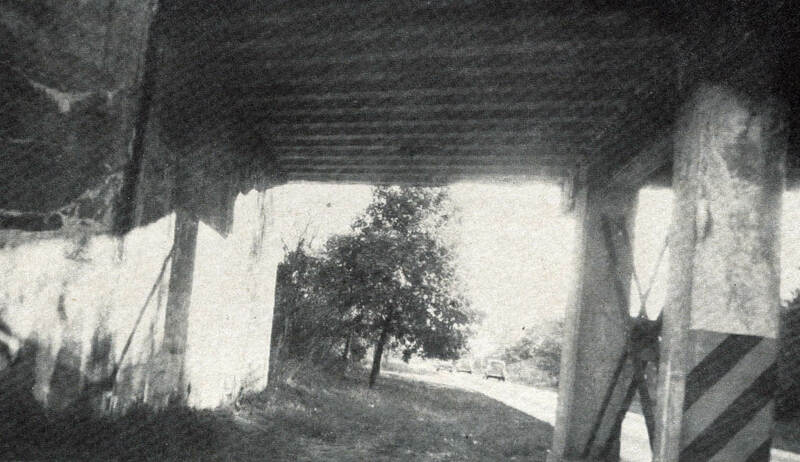 The 54th bridge in the series documenting the 60 bridges built by the Long Island Motor Parkway is the Broad Hollow Road/Huntington Railroad Trolley Bridge in Melville. 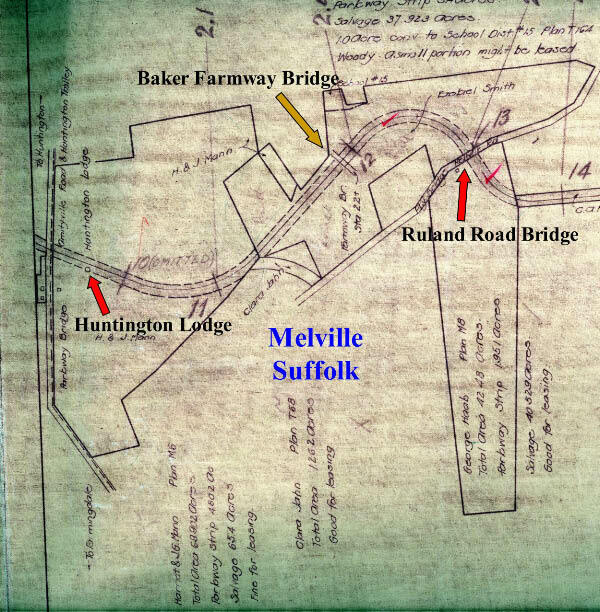 The bridge was built in 1910 over the road originally called "Highway from Melville to Amityville". It is better known today as Route 110. 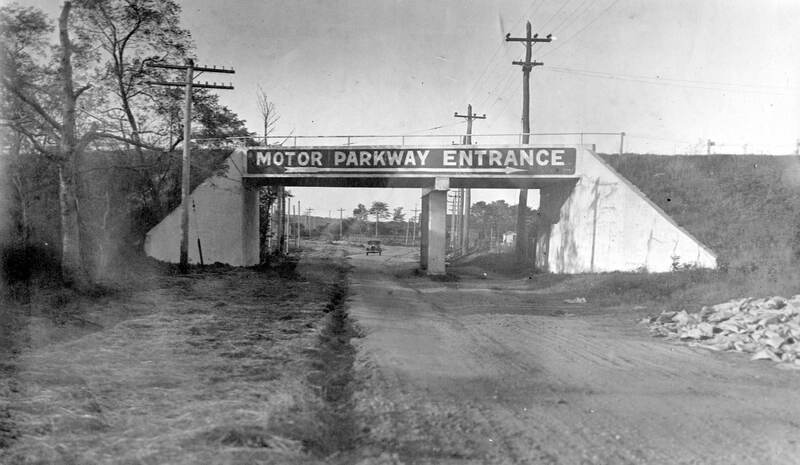 This was the second Motor Parkway bridge built over a road and trolley track. 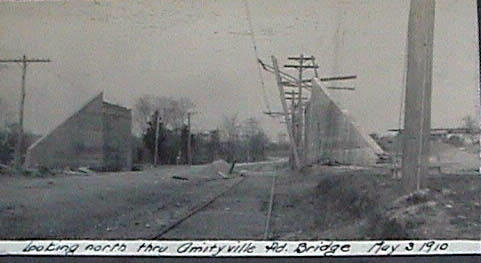 The other combination bridge was the Westbury Avenue Parkway Bridge in Mineola/Carle Place. "I grew up on a small farm on the Easty side of Broad Hollow Road just South of Ruland Road, next to what was then the St. Rose Industrial Home for Girls. 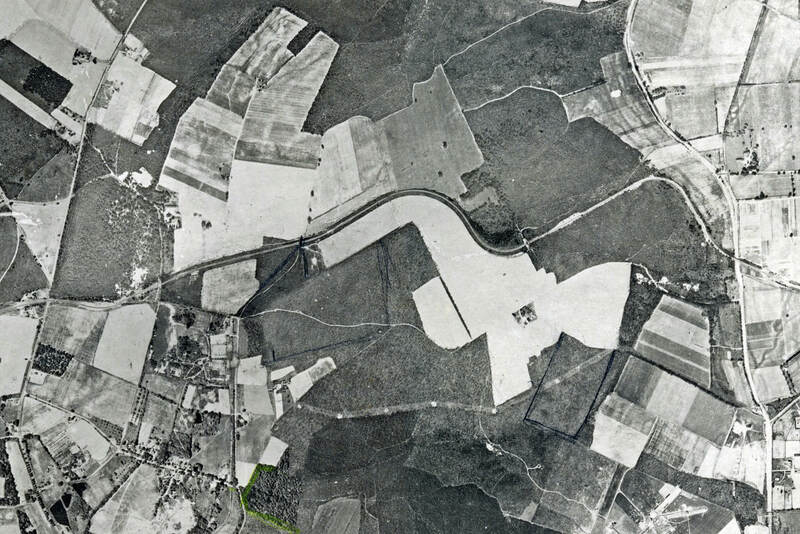 Although the LIMP was abandoned in the late forties, the bridges in our area were still there and we would ride our bicycles generally from the Broad Hollow Road bridge East to and over the junction of Duryea, Bayliss, Pinelawn and another road, but being some 59 years ago my memory is a bit foggy. Houses and buildings in the area around St. Rose were then given names. As I recall, our home was one of the much older buildings in the area, to us an old farm house, whose origins and expansion from the 1800s could clearly be seen, was the "Green House", being shingled in that colour. 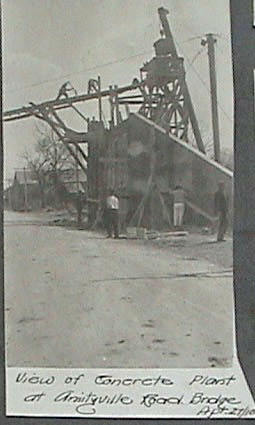 The main building at St. Rose was naturally the Big House (bell and all), the Big Barn, the Yellow Barn, and so it went. The women's residence at the Aggie School (not the Agricultural and Technical College), the Mott House was close to the foot of the Melville and Broad Hollow Roads, and it was a big day the Mott House was moved to its final location near the City of Glass on the Melville Road." 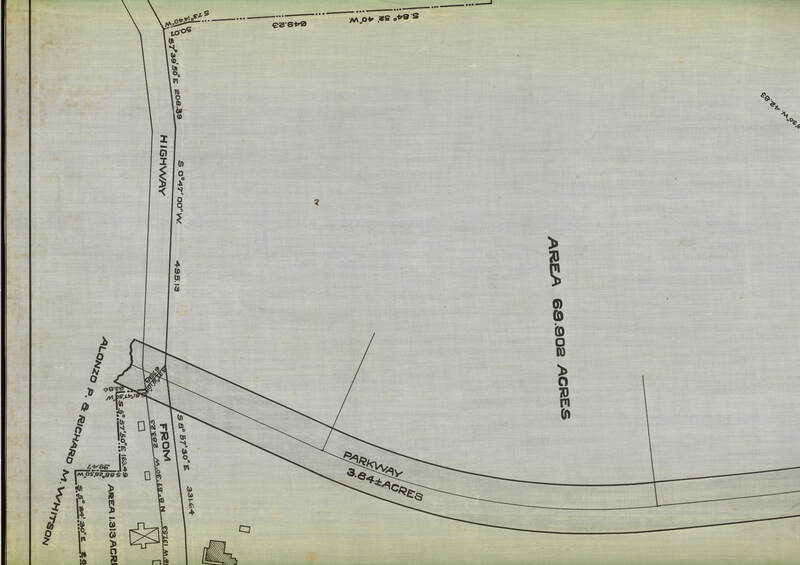 To build the parkway east of Broad Hollow Road, the Motor Parkway purchased the entire 69.02 acre farm of John Mann. 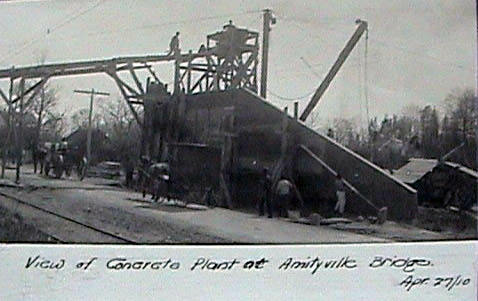 A concrete plant was constructed to build the abutments. This view is looking south with the trolley tracks on the eastern side. The view looking north on May 3, 1910. A close-up of the Broad Hollow Road Bridge. Note the entrance to the Huntington Lodge just below the parkway. Unfortunately, the lodge is just a black dot. View looking north. The trolley line on the right had ceased operations eight years before this photo was taken.The sign on the bridge points to the parkway entrance at the Huntington Lodge. Looking south. Courtesy of the Vincent Seyfried Collection. A closeup of the bridge. 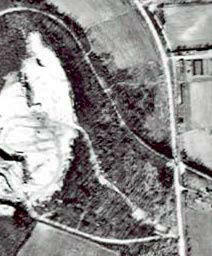 The Melville sandpit is on the left. The site of the eastern abutment of the bridge. The site of the western abutment of the bridge on the prperty of the Huntington Hilton. 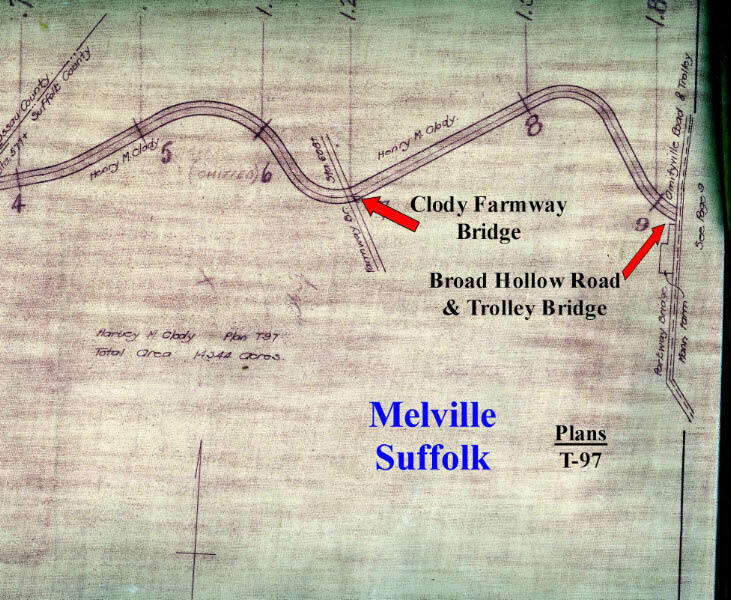 Check out Wayne Consolla's online Motor Parkway map, to find the location of the Broad Hollow Road/Trolley Bridge. 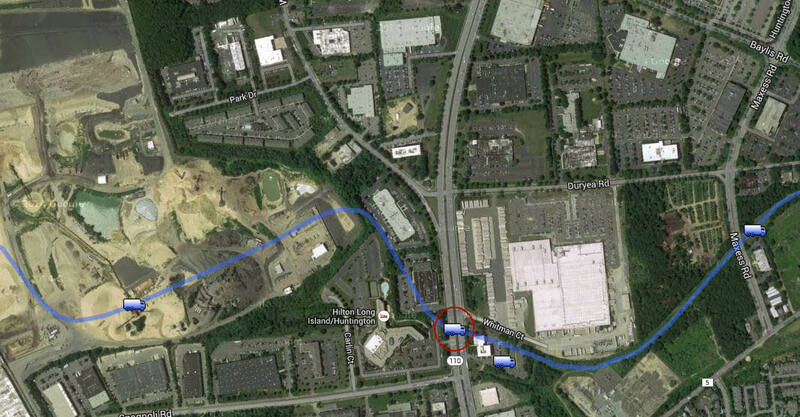 Note how the Whitman Court follows the path of the Motor Parkway. 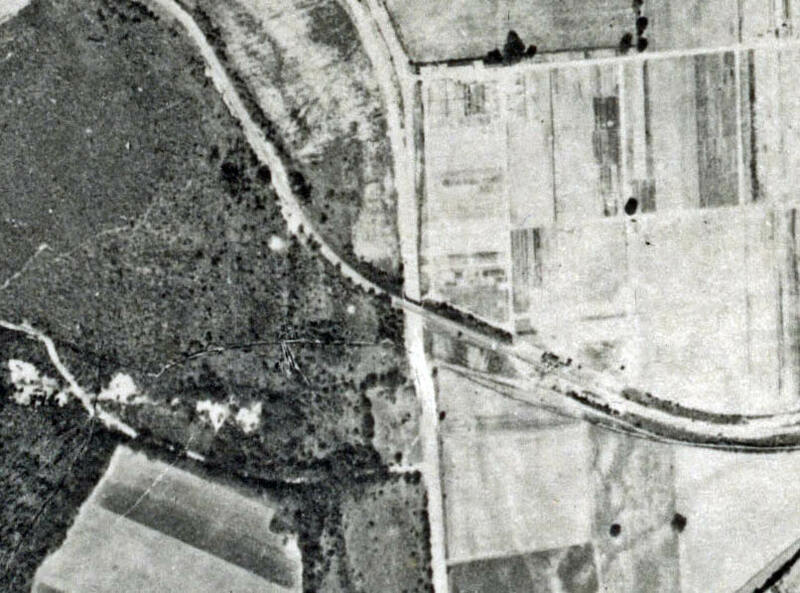 With regard to the 1935 image above, I believe this to be earlier than 1935 as the stated paved Route 110 with 20 foot twin slab concrete in 1933. 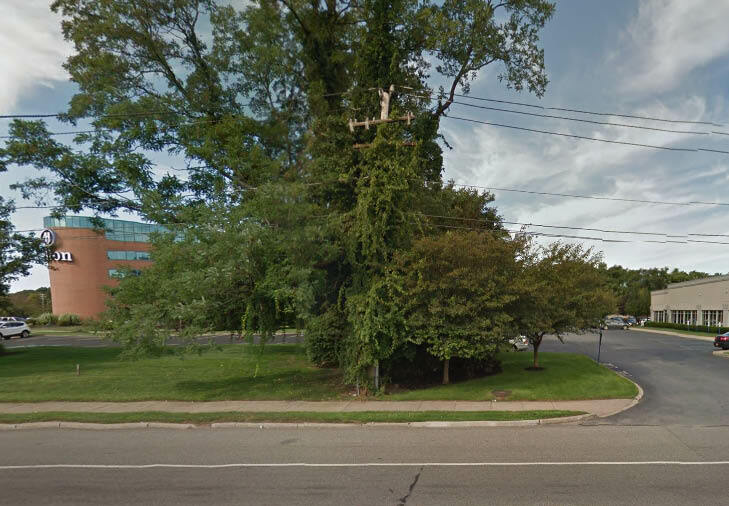 This original concrete surface was still visible on the former Route 110 (Walt Whitman Road) until it was resurfaced in 2011.